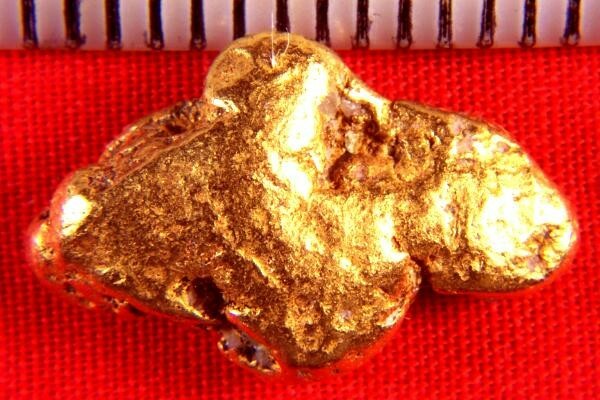 This natural gold nugget from Costa Rica has a very unique shape. It weighs in at a very hefty 6.4 Grams (98.7 Grains) and the size is over 3/4" (20 mm) long. It has a very smooth surface and a gorgeous buttery gold color. 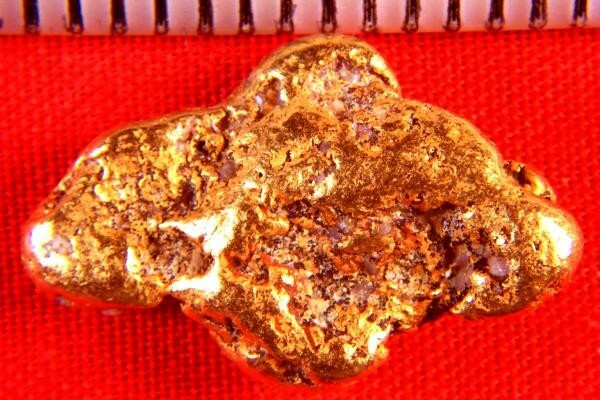 Natural gold nuggets from Costa Rica are very hard to find for sale and they have a very high purity at 92% to 98% pure gold.